OTTAWA - The Canadian economy stalled in the second quarter, contracting slightly as exports dropped amid the global economic slowdown, but economists and the federal finance minister say there's no reason yet to believe another recession is looming. Statistics Canada said Wednesday that Canadian gross domestic product shrank 0.1 per cent in the three months ended June 30, or at an annualized pace — assuming it had contracted at that rate over a full year — of 0.4 per cent. 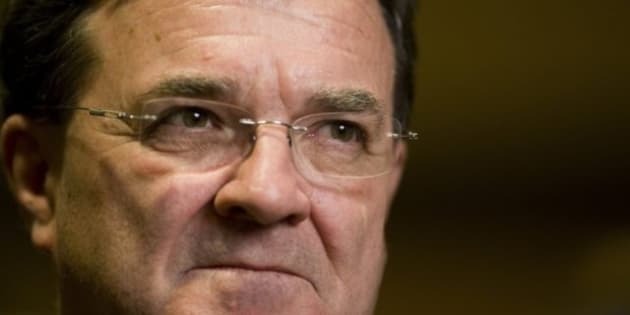 Finance Minister Jim Flaherty said that despite the weak second quarter numbers, they were "broadly consistent" with the expectations in the budget and he expected modest growth in the third and fourth quarters. "As we all know, global economic growth has been weak in recent months and as a trading nation, we must recognize that turmoil abroad will inevitably have an impact on our economy," Flaherty said in Toronto. "We are in a period when the global economic recovery — especially in the U.S. and Europe — is fragile and growth will be modest." The minister added that Canada has tools to stimulate the economy if needed. Economists on average had expected no growth from the Canadian economy for the second quarter. Continuing turmoil over government debt in Europe and signs of slower than expected growth in the United States have also sent the Toronto stock market down from its highs for the year. Despite the overall decline in the economy, domestic demand was higher. Consumer spending on goods and services was up 0.4 per cent for the quarter as shoppers increased their purchases of durable goods as well as services. Government spending was also up 0.4 per cent as all levels of government increased spending.